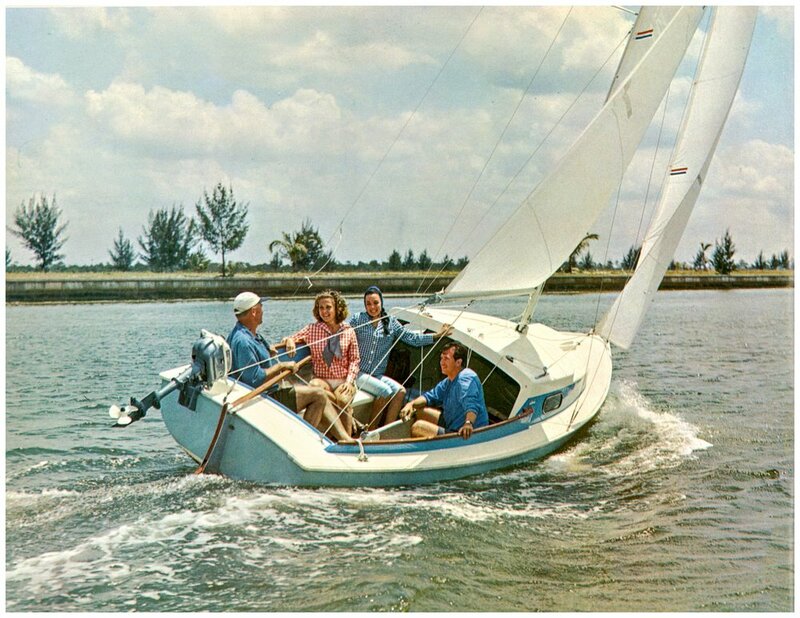 1967 O'Day Sailboats Catalog — O'Day Mariner #1922 "Orion"
This advertisement was taken from a 13-page O'Day catalog in my own collection. 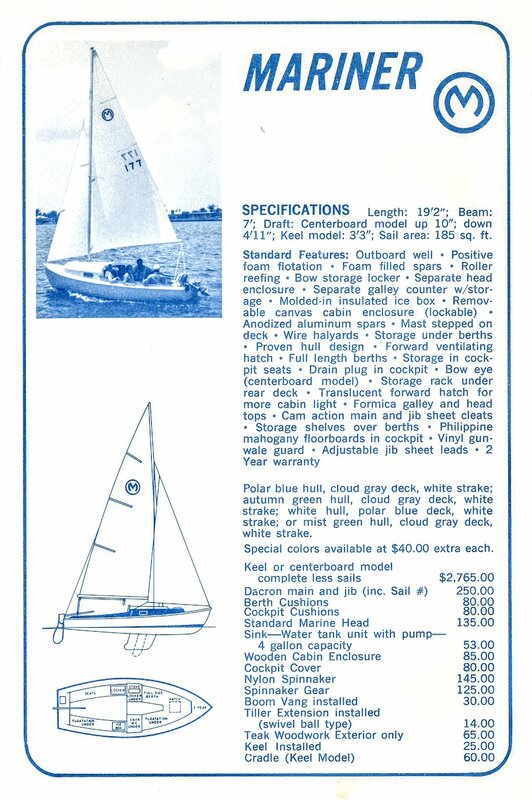 Mariner #177 is also featured in the following year's advertisement, although the full-page photo shown below is unique to this catalog. 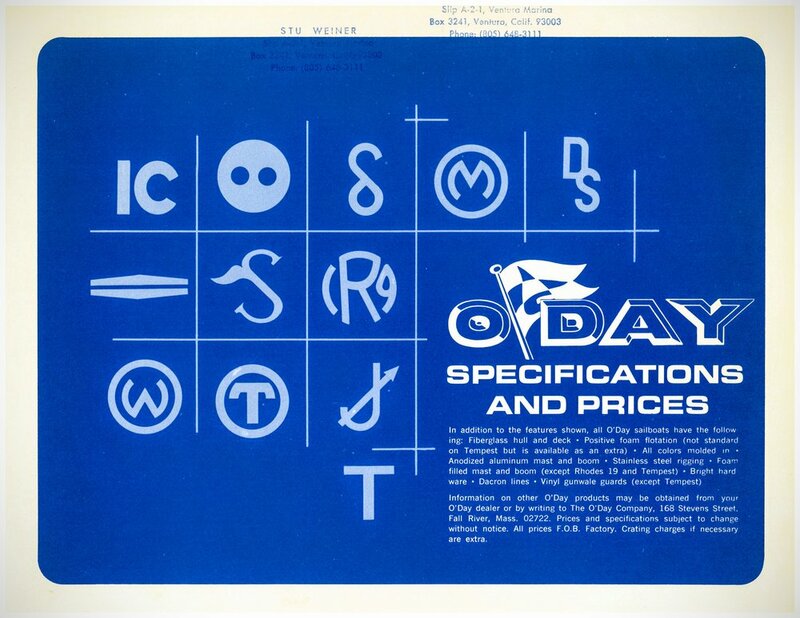 The rest of the catalog displays pictures and text for the Tempest, Mariner, Rhodes 19, Day Sailer, Ospray, Javelin, Widgeon, Sprite, and Seven-Eleven. The back of the catalog has pictures only of the International Tempest, Interclub, Outlaw, Flying Saucer, Swift and Super Swift. 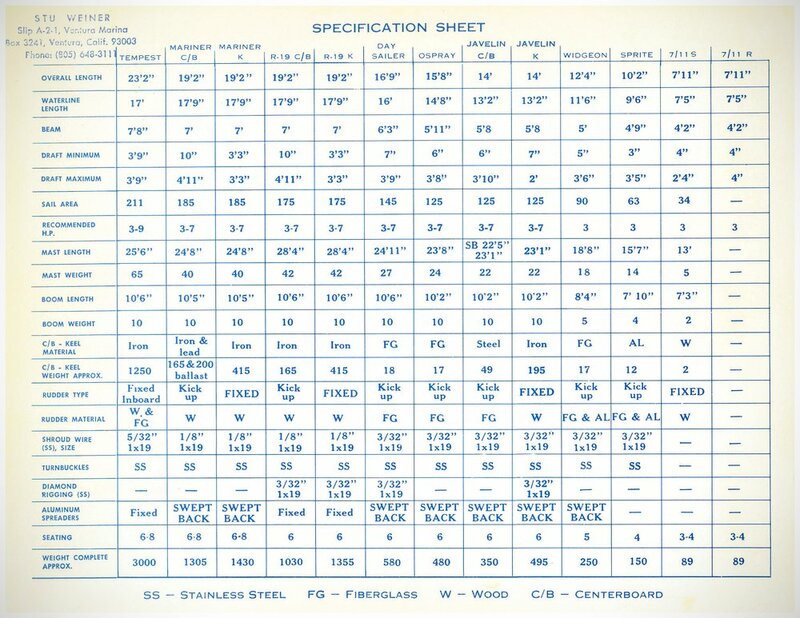 The catalog and specification/price sheet were originally postmarked to a gentleman at "Slip A-2-1, Ventura Marina" in Ventura, California (no longer in business).